In Dripping Springs, TX, Home Isn't Home Until The Patio is In! 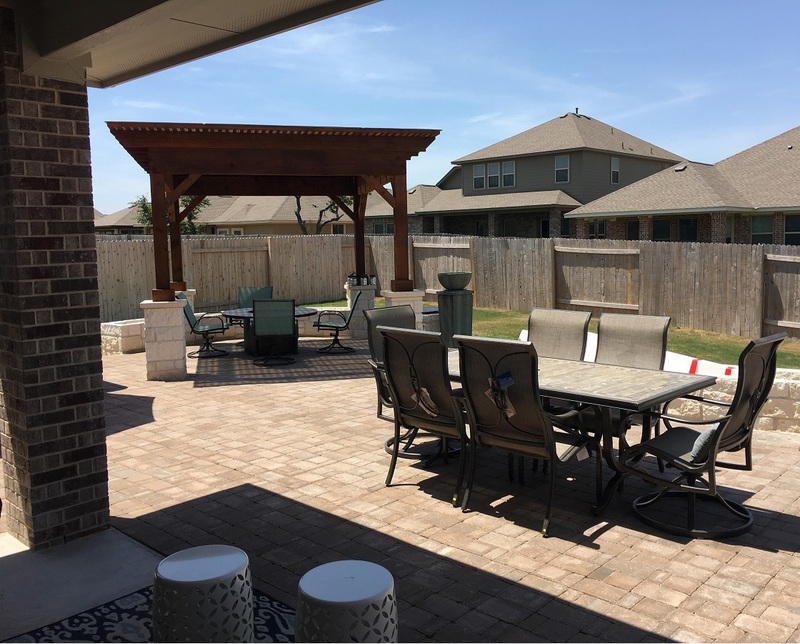 When you love spending at-home time outdoors, the patio needs to be perfect, so why wait until you move in to get it started? 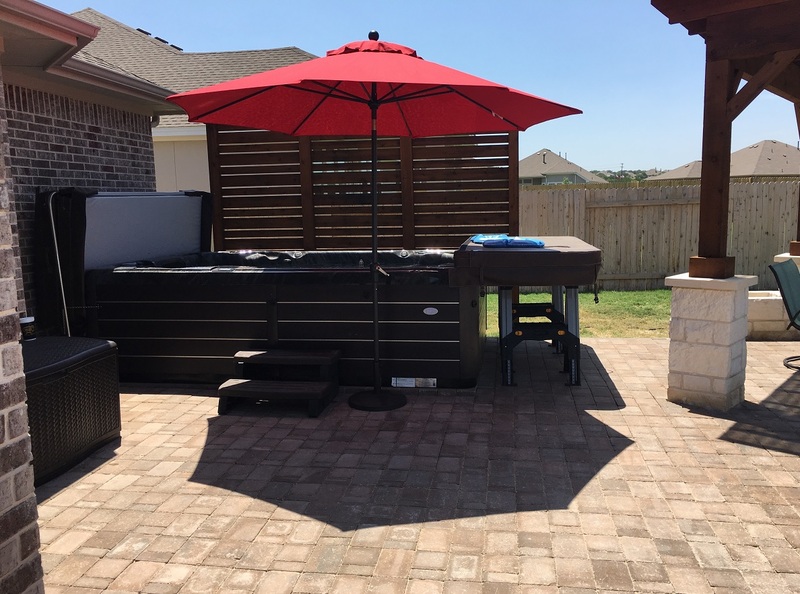 These Dripping Springs, TX, homeowners enlisted Archadeck of Austin to create the patio of their dreams for their new home. As they requested, we didn’t wait until they’d moved in to start working on it. 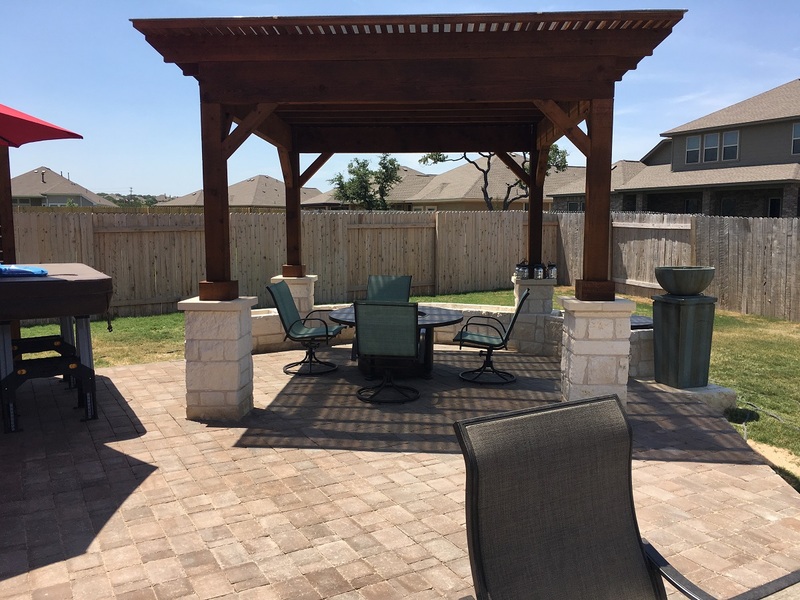 Horizontal: Pavers / Vertical: Limestone / Pergola: Cedar. The project encompassed a 700+ sq. feet of hardscape area with built-in stone planters and a diagonal cedar pergola with a Polygal pergola cover. We built the patio with beautiful pavers by Belgard, and for the vertical stonework we used white limestone. Stonework included the long planters as well as the pillars at the base of posts supporting the pergola. For the pillar tops, we used smooth, beautiful Lueders limestone sourced here in Texas. We used cedar for this substantial pergola that’s designed to provide ample shade with a Polygal cover to filter out the sun’s harsh UV rays. The Polygal material we used has thermal properties, too, so it will absorb some of the heat beaming down from above. Because the pergola cover is clear, you barely notice it’s there. As for finishing touches, we added a trellis wall for privacy beside the smoker and built a “more private” privacy wall beside the hot tub and swim spa. Swim spa? Yes! The homeowners moved to Dripping Springs from a home with a much larger lot that included an inground pool. They love this home and its location in the Texas Hill Country so much they were willing to trade their old pool for a swim spa. We made the trellis wall with iron cow panels. 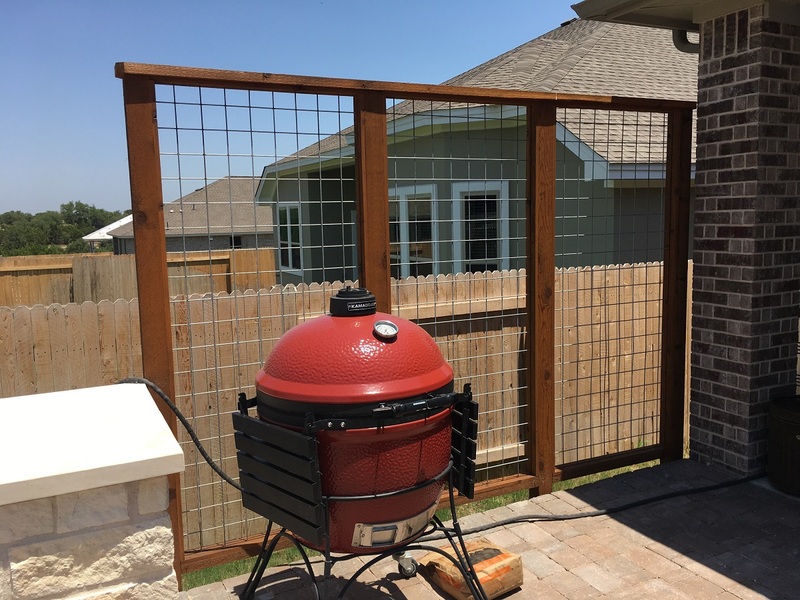 The homeowners plan to let vines grow up on the trellis behind the smoker, and they will plant flowers in the custom planters as well. Soon they’ll have plenty of plants adding another layer of texture to the hardscape design. The homeowners’ finishing touches include a fire table under the pergola and a fountain nearby. The fire table can double as a dining table for four. The clients also added a larger dining table out in the open, closer to the smoker and the grill. It looks like these Dripping Springs, TX, homeowners have everything they need outside! They enjoy spending time outdoors, and now they have the patio they need for that purpose. With all these amenities, they won’t miss their large lot. Now they’ll have less yard to take care of and more patio to enjoy to the fullest. Have you imagined what the patio of your dreams would look like? 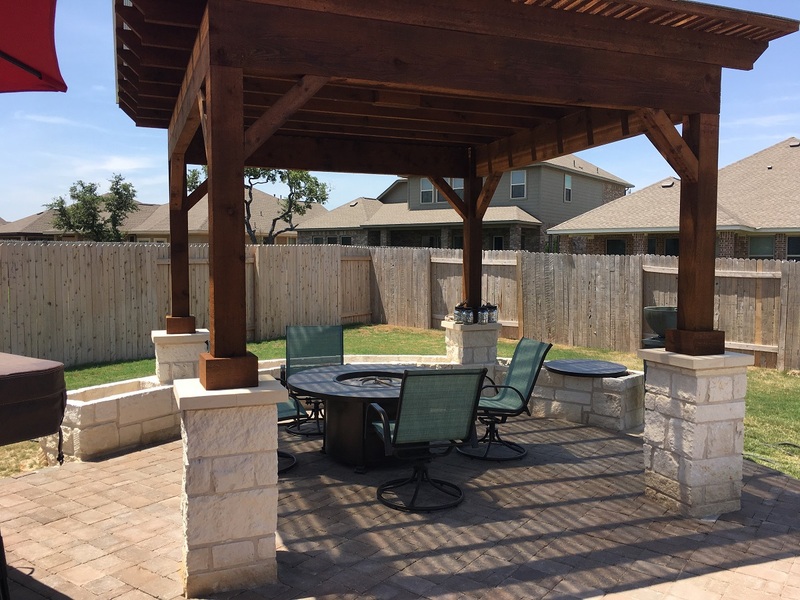 To talk about building your new outdoor living space, call Archadeck of Austin today at (512) 259 – 8282 or email us to schedule a free design consultation.